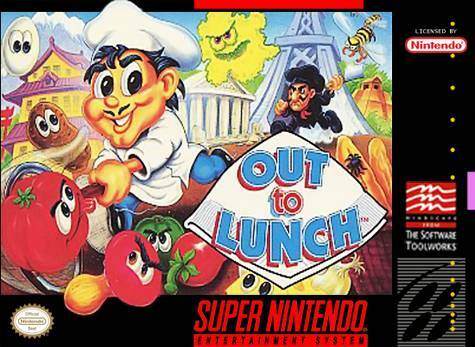 Out To Lunch for Super Nintendo allows you to play as Pierre Le Chef as he travels across six different countries to get back his ingredients. Stun the feature foods by hitting them with flour sacks, and then you'll be able to catch them. During this culinary adventure, Pierre must battle such enemies as Le Chef Noir and his assistants: Botulism, Mold, and Salmonella. If Pierre gets things just right, he might discover bonus areas.